Monique Sluyter Models voor Invicta Watch - Monique Sluyter Models: casting en modellen buro. Circuit Assen Holland – Formule 1 – Models of modelagency Monique Sluyter Models Holland (www.moniquemodels.com) . 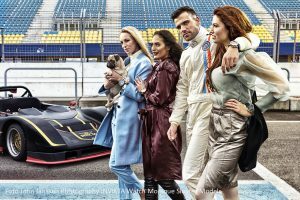 Backstage video of Invicata S1 Rally Collection shoot 2018. Copyright :Capital Advertising, John Janssen Photography. Skullcandy promoteam groter dan ooit!